When you can run as fast as Eugene McMinns, there’s no telling where you’re going to stop. For McMinns, the race to AUS football began in Nassau, Bahamas and has landed him in Wolfville, N.S. on the receiving corps of the Acadia Axemen. Competing primarily as a track athlete, McMinns always had a passion for football. While training for track competitions and playing flag football, a new opportunity for a future in football arose in a place McMinns had never considered. McMinns made his move from Nassau to Charlottetown, P.E.I. 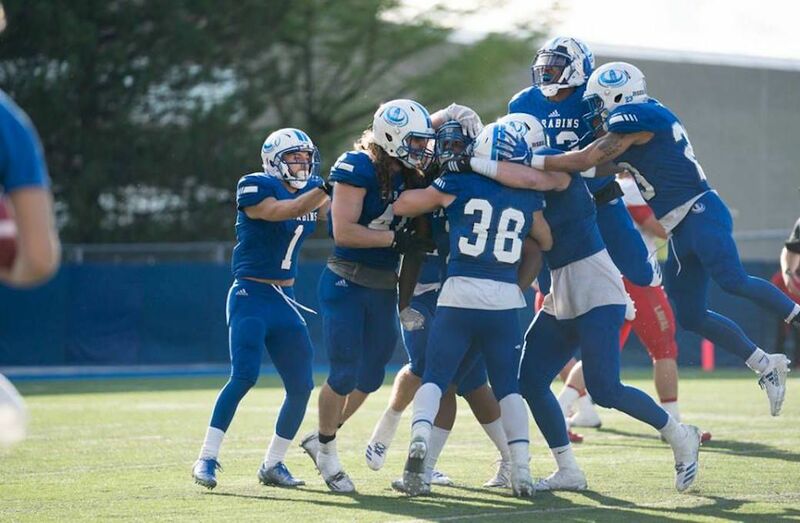 to compete in the Atlantic Football League – a four-team club league that also features Dalhousie University and both campuses of the University of the New Brunswick in Fredericton and Saint John – for the Holland College Hurricanes. At Holland College, he excelled as an athlete. Be it on the track where he was named among the school’s top athletes or on the football field where he helped the Hurricanes claim a pair of consecutive league titles, it seemed he had found what he was looking for in Canada. However, for McMinns, he had only dipped his toes into what opportunities the country held. That higher level would prove to be donning the red and white for the Acadia Axemen. 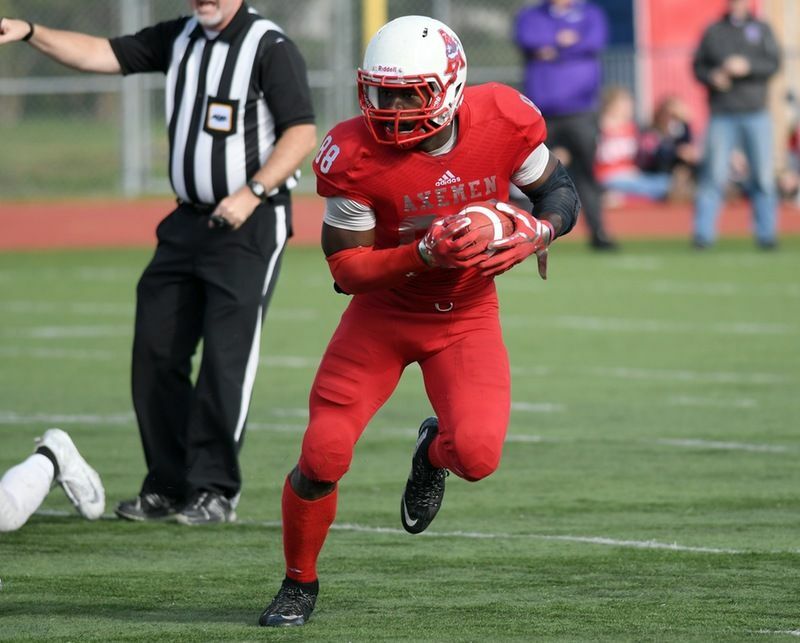 The wide receiver with unmatchable speed was a sought after asset given his skill set, but it was Axemen head coach Jeff Cummins that had him convinced on his new home. In his first season at Acadia, McMinns found he had to face the obstacle of the level of competition in the AUS. He lists the biggest chance as the speed of the game. Luckily, speed is something that McMinns does not have to worry about. Years of track and field training and competition saw him adapt to a new level of football quickly. After a respectable debut season in 2015, McMinns missed the 2016 due to personal reasons. While his football career was on a major upturn as he climbed the ranks of Canadian football, the missed year impacted the receiver. With his return to the Axemen lineup in 2017, McMinns is turning that negative into a positive. Right out of the gate, he would score Acadia’s first touchdown of the AUS regular season in a Week 1 matchup against the Mount Allison Mounties. 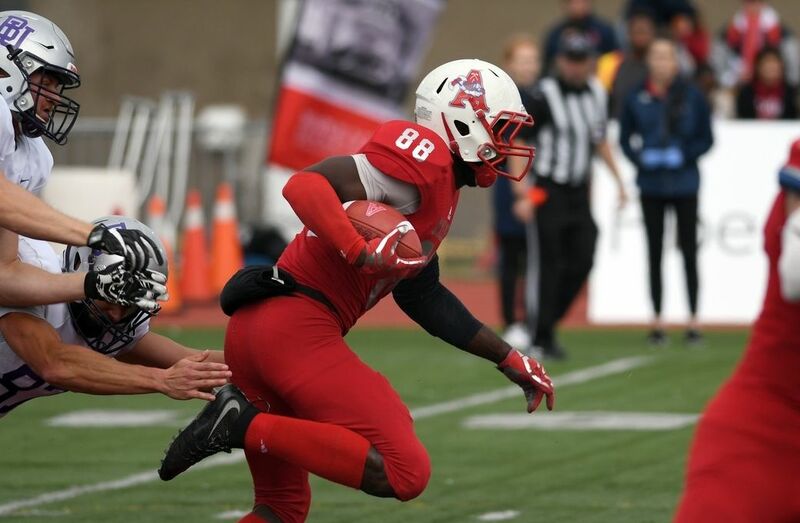 The play served as redemption for lost time, and announced McMinns’ arrival as a force to be reckoned with in U SPORTS football.